What it’s really like to leave home and go away to university. Why living with other students is an awesome intermediary stage of life. How being away at camp is both similar and different to going away to college. How cleanliness is greatly appreciated. How having a lot of unstructured time can actually help you figure out what you’re really interested in. How to be a drummer in a shared rental property. What women in the middle and university-aged kids have in common. How thinking about what you want to do is both intimidating and exciting. 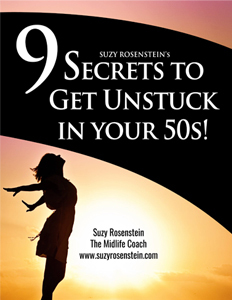 Join us today for some unique insight about the whole empty nest thing from the inside out. This week’s episode features an interview with a twist because it’s with a 21 year old GUY! 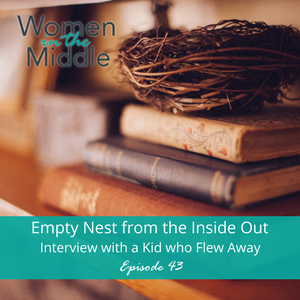 It’s part of the Getting Real with Women in the Middle Mini-Series, but this week we’re going deep inside the mind of someone who knows what it’s like to be a kid who left the nest and has some insights to share with us all. Women in the middle will definitely appreciate hearing things from his point of view! Transitions can be difficult, no matter your age or stage in life. Leaving the nest is an adjustment for all, not just parents! Alex is young man who left home to go away to school three years ago, to the University of Waterloo in Ontario, Canada. He’s one of my sons and I’m so grateful he agreed to talk to us! Alex went from one year of living in residence, to living on his own with housemates in a rented townhouse for the first time. While he really loves being independent, he realizes and appreciates a few things from home too, like a clean kitchen and financial support! Alex shares that he really loves his independent lifestyle and his ability to make his own routine where he can prioritize what he wants to do, including studying according to a schedule he sets himself, playing music with friends (he’s a drummer), being on the school’s Varsity Cheer Team and hanging out with friends. He finds thinking about his future both exciting and stressful and gives some advice to parents learning to cope with empty nest. Alex suggests that anything parents can do to ensure their kids are transitioning well into the pseudo-independent lifestyle while being away at school is the way to go; most kids really are excited to leave home because independence is amazing.